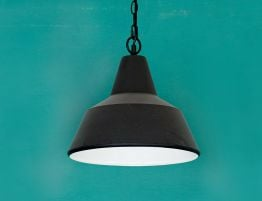 With a black outer shade and a warm, golden undershade, the Industrial Cast Pendant in black will cast a warm glow in your modern interiors. From Bent Design Studio, the industrial retro metal pendant light offers chic, on-trend designer lighting—perfect for over your dining table or wherever you want to reflect the perfect glow. 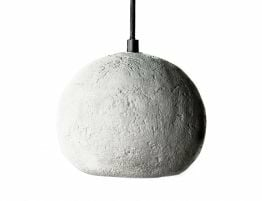 Industrial And Retro Metal Pendants are a great way to add character and visual interest to your space. 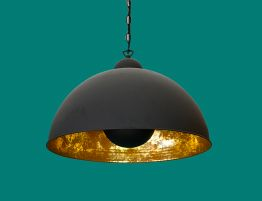 With vintage fixtures and retro inspired lighting, you can bring the best of design together in your home.The Industrial Cast Pendant offers a minimalist pendant ceiling light with a black metal outer finish and a burnished gold interior. 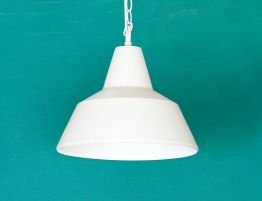 Let vintage lighting add an individual design element to your space. Don’t let standard, boring lighting bring down the overall look and feel of your space. 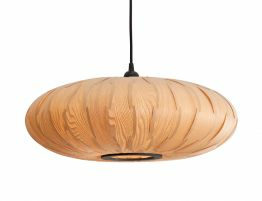 Lighting can be a great way to affordably add designer touches and create a look that is as unique as you are.